Edison Research and Triton Digital have released their Podcast Consumer Canada 2018 report, assessing the audio format’s audience and popularity among Canadian listeners. The analysis reveals familiar trends in terms of who is tuning into podcasts most and what their common behaviors are. 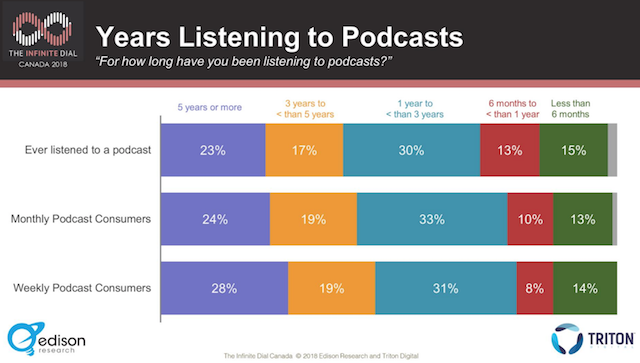 Familiarity with the term podcasts was 61% among the 18+ Canadian population, and 47% said they had ever listened to a podcast. 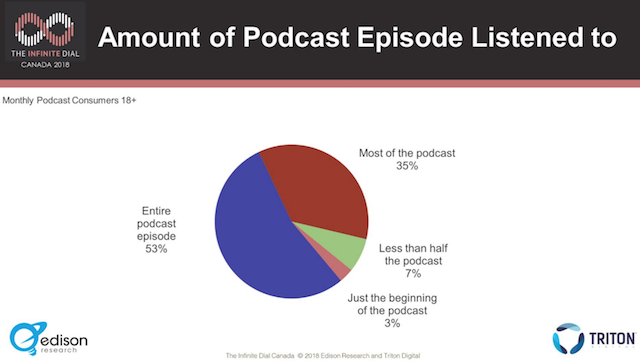 Canada had 28% of participants identifying as monthly podcast listeners. The rate leapt to 41% among ages 18-34, while ages 55 and up reported 19%. In terms of demographic data, monthly podcast listeners were slightly more likely to be men. The group also reported slightly higher rates of full-time employment, of annual household income exceeding $75,000, and of college education compared with the general population. Moving into more frequent listenership, 19% of respondents said they tune in to podcasts weekly. The mean time these dedicated fans spend with podcasts is 6 hours, 4 minutes, although the most common response, at 36%, was between one and three hours. 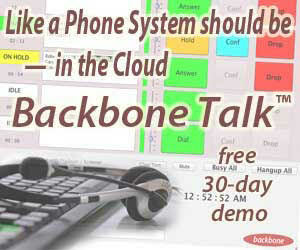 The group also listens to an average of five shows per week. The weekly and monthly consumers were more likely to listen to shows from Canada’s public radio producers, both at 47% compared with 42% for the “ever listened to a podcast” set. Home is the most common spot for podcast listening, with 80% of monthly listeners ever doing so and 63% of them most frequently tuning in there. 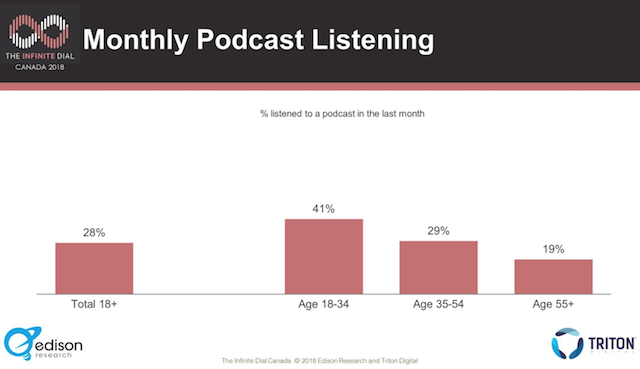 The next slide, one of particular note for advertisers, asks how much of an episode monthly podcast consumers listen to. 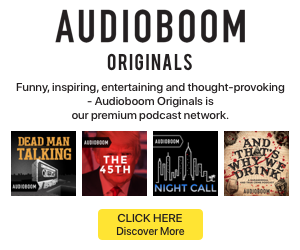 Just over half (53%) said they listen to the complete episode, while 35% said they listen to “most of the podcast.” The options for “less than half” and “just the beginning” of shows each had single-digit percentages. The report closed with statistics about smart speaker awareness and ownership. Monthly podcast listeners reported higher rates of awareness of both the Google Home and Amazon Alexa offerings, 67% and 66%, respectively, than the general Canadian population. The monthly listeners were also somewhat more likely to own smart speakers: 10% compared with the overall average of 8%.